To sum up, I would have titled the show "It's Not That This Drama Couldn't Have Been Great, It Just Chose Not To." Viewer beware. How to start this review. I'm not sure how. This drama doesn't really follow the typical set up with our leads. I won't say more than that so as not to spoil the story, but it's a good idea to not go into this one expecting things to play out a certain way. I don't necessarily think that's a bad thing. It was certainly a very confusing and frustrating thing, because I've come to expect my dramas to play out in very specific ways. (That's probably due to my limited experience with Japanese dramas over Korean.) But I came to understand, and honestly quite like, the very conscious writing decision by the end.There are some things I could quibble over, but honestly, I'm not particularly upset about most of it. HOWEVER, I know from reading the comments on here that some people were disappointed with the ending, and I must say, that is a frustration I understand. Because, well, I'm a little disappointed too. I'm not unhappy with the end pairing, because I honestly feel like it makes the most sense. I'm also happy with how all of the other potential suitors are treated and utilized in the story. I'm just not happy with the non-commital ending. You need to make a decision, writers. Yes or no. Side note: There's a time jump at the beginning of the last episode that I feel was pointless (and kind of jarring, if I'm honest), but I don't know if that's because of how it was utilized or because there was a bit of a pause between me watching episode 9 and then coming back to watch the last episode. It was only about 4 or 5 days, but it was enough time for me to no longer be in the same headspace as when I started the drama. 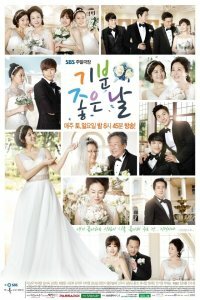 All in all, I mostly enjoyed this drama. I just wish the ending had been clearly defined. The drama brought us So close only to leave us hanging. And I don't give tens for that. Good (not great, but good) take on the now slightly worn theme of "OMG, successful, single, 40ish year old...but not married! woman". We get the Usual Suspects: Beautiful Workaholic female lead (a doctor, this time); Mr. Second Chance/The Old Reliable (a teenage crush come back as mature husband material); Mr. Abrasive and Cynical-but-Actually-Sensitive Inside (a chef who apparently moonlights as a relationship...well, not exactly mentor, more like relationship boot camp drill sergeant); Mr Hot Young Thing (a delivery boy with a hidden poetic side); plus the supporting cast of giggling juniors, bitchy she-wolf pack, total no-hoper dating rejects, etc. It's all put together in an appealing package with pretty good acting from the main cast, but the story meanders, jumps around, and makes us hang on for a whole lot of crying, shouting, laughing, sighing, flashbacks (LOTS of flashbacks), more crying, some moments of indecision, and ultimately an ending that, though plausible, has been rightfully described as unfulfilling. No spoilers here, but let's just say the best way to describe it is, "Ha! We all pretty much saw that coming - except then it didn't. Although it did. Sort of. But not quite. Though, really, what else was there to say? Well, anyway. Nakatani Miki delivers a very charming performance as the aforementioned beautiful workaholic doctor in not just a love triangle, but a full-on love quadrangle. She's reconnected with her missed opportunity high school crush (Tokui Yoshimi), now a successful salaryman and all-around decent guy. She seeks to win him over and make up for lost time with the help of a sharp-tongued chef (Fujiki Naohito) whose restaurant she frequents, and who agrees to mentor her on how to be neither a doormat nor an ice princess. His methods are more like verbal fencing than Guy Friend chit-chat, with lots of getting up in each others' faces, which over time sets up a whole "Oh, will you two just quit bickering and do it!" feel. Thrown into the mix is the very self-confident restaurant delivery boy (Seto Koji), whose sporty, unambitious persona belies a warmth and seriousness that our heroine finds unexpectedly compelling. Overall, there is a sense of lost potential here. Everybody is very good in their roles, and the characters are fairly interesting, but the combination offers little novelty in its take on a thing we'll all seen a bunch of times by now. If, by chance, you haven't seen one or two (or six or eight) dramas on this theme, then this certainly isn't a bad introduction. It's neither too fluffy nor an emotional gut punch, and it's nice and easy to get through. Just don't expect a lot of fresh ideas if you have been around this loop before. I had fun watching the drama! A typical jdrama that is short yet fast paced. I actually loved the drama and advises the chef gives and that the important point of the drama is what Tachibana realizes herself. I get many wouldn't liked how it turned out but I think it was perfect, except that it's only 10 episode drama. The actors were excellent; Nakatani Miki is soo pretty, the chef is great in giving advice's and yet... Seto Koji's portrayal and chemi with the lead was great, it was okay unlike other May=December pairings I've seen. Overall,I enjoyed watching the drama and didn't have any too much expectations at first since I can't relate to Tachibana's dilemma cause I'm not in that age yet so I just watch the drama with lightheartedness, so I recommend others to do so. 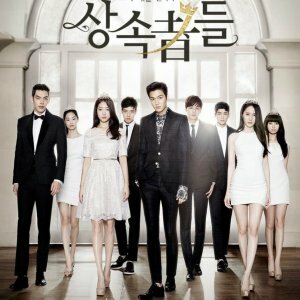 This drama simply reminded me of Mairunovich Manga. The main guy character becomes the main girl's mentor and helps her to woo the guy she likes back in her high school days. She goes through various training and harsh words from her mentor day after day. After finishing one episode of the drama, I keep wondering what would happen next and kept watching and lost track of time. It was exciting how the girl progress in her love affairs and the quarrels she had with the mentor. All the characters were so good at acting and my most favorite after the two mains was the mother of the girl main character. She wasn't a mother who was too pushy to her daughter into getting married and had her own sense of humor. 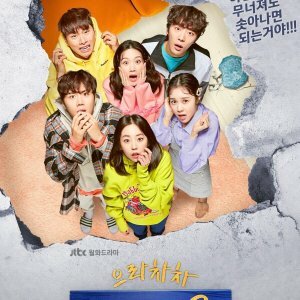 Tbh, I was shock to see the girl main character and didn't even realize that she was the main till I realized her personality is exactly what was written on the plot summaries....&amp;quot;NOOOOOO!!! !.......&amp;quot; was my reaction at the beginning of the drama probably cos my expectation of the female main was high. Her personality is sort of conceited unlike the girl in Mairunovich and looked pretty older than I thought she would be. However, my opinion changed after I kept watching the drama. Her personality seemed kind of cute and she looked more prettier.